A lot of People know that mirrorless cameras are light years ahead of DLSR cameras when it comes to video capabilities. They simply offer so much more for the money you spend and will generally give you a better return on investment (debatable for some). So why should you trust me? Well, a good majority of the cameras recommended in this article I have personally used. Whether owned or rented on client shoots, I have tested, scrutinised and rigorously researched all these cameras and arrived at a very unbiased list of the cheapest 4K cameras available today. I can tell you their pros and cons by heart and I can probably give you a perfect personal recommendation depending on your budget, style and needs… Which is exactly what I am about to do. 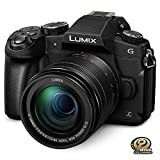 Panasonics Lumix G7 has to be the number 1 camera on this list because there is hardly ever going to be a camera that offers better value for money on the market currently. We are talking about 4K video, very decent lowlight performance despite being a micro four thirds camera, wide lens selection especially when adapting lenses, Auto ISO for vloggers/newbie video creators, a tilty touch screen, customizable function buttons and so on. This camera is a steal and if you can steal it at a very fair price you definitely should. The regular price for it is already beyond reasonable so I imagine picking it up on sale for a little less must be an amazing feeling. Best part is that chances are you will resell it for more money than you bought it. Which is what I ended up doing! You can even pick this up for way less money if you are willing to buy slightly used or better still buy body only if you don’t want or need the kit lens. But the kit lens is decent value for money so I’d advice you keep it. 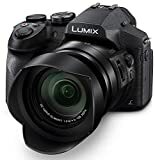 Probably the cheapest 4K camera you will get that has interchangeable lenses and any real DSLM/DSLR style ergonomics to it (No matter how little). If you are not trying to buy an action camera like a go pro styled camera for the sake of price then this is probably your next best option. 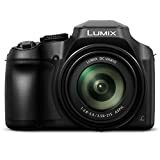 You should know however, that this camera relies very heavily on auto functions, things that you would hope to be able to manually control like you would in other cameras like a Panasonic and an Olympus will not be the same here. YI TECHNOLOGY: See Everything. With a range of imaging technology products, YI is one of the leading providers in cameras for cars, home, and life, with more than 4.5 million happy customers. 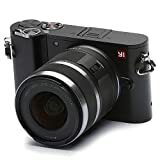 YI M1 MIRRORLESS: A convenient on-the-go camera for professionals and amateurs alike. See the world through a new lens. MICRO FOUR THIRDS LENS MOUNT: Our lens mount is compatible with over 50 lenses, all seamlessly interchangeable so you have the freedom to choose. SONY IMAGE SENSOR: One of the most reliable brands in image sensory technology. 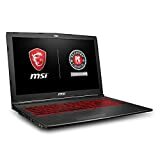 It delivers 4K video and 20-megapixel images to provide videos and images in unprecedented quality. ONE YEAR WARRANTY: We trust our products and they come with 365 days warranty. Exchange without question within the first month of purchase, or contact our support team any time via email. This is definitely the cheapest 4K camera with 5 axis image stabilisation built in. 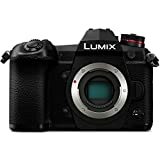 For context it is a sub $600 camera that uses the same micro four thirds sensor that Panasonic uses and you get to take advantage of Dual Stabilisation if you purchase OIS lenses from Panasonic – Insane!. Needless to say this was significantly more expensive back in the day, how the price tanked all the way to what it is now is still a huge surprise for me. This is also probably a better option for you if you are interested in photo as well as video. Definitely a better option than a Panasonic for stills. I know what you are probably thinking… So many Micro Four Thirds cameras on this list already. The reality is if affordable is what you are looking for relative to performance then you cannot overlook the M43 system. The price on this baby is golden, You will usually be able to pick it up on sale at a fairly ridiculous price all year round. And the fact that you will not be able to swap out lenses for maximum versatility may not be a problem for a lot of people since the lens zooms all the way in to 1200mm. It even has a face detection focusing system and an action camera like stabilisation system as well. Decent buy if you are tight on cash for equipment. Quite similar to the previous camera above, non-interchangeable lens setup with a very decent zoom range at a max 600mm. Decent ergonomics with a flip out screen for vlogging and a great timelapse mode. Simply put, a decent camera that isn’t for everyone. Mostly targeted at beginners and once in a while hobbyists. The presence of 4K video is simply an added selling point Panasonic likes to add into their cameras as some sort of value added. It’s really quite cool that they do that. Easily the most expensive entrant on this list, but we must understand that not everyone will be comfortable with a Micro Four Thirds sensor. The Sony A6300 has a CMOS censor which is reasonably larger than M43 and it offers incredible autofocus! And I mean the autofocus and subject tracking this camera offers is so good you begin to wonder if it makes sense to buy manual lenses at all when you own this. There is however the slight issue of the camera overheating when you shoot 4K for up to 25 minutes which will in turn have the camera just shutdown on you. There is also poor battery life but I believe there are a few ways around that if you want this camera bad enough. 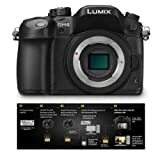 Another great video camera from Panasonic that gives you in-body image stabilisation for a fraction of the price of the Gh5, and by a fraction I mean about half the price. The kit lens this comes with is Power OIS 12-60 and able to do F2.8 at it’s widest… Basically what I am trying to say is you could resell that kit lens for around $400 – $450 if you don’t want it and further take down the price of this beast to a miserly $300 plus. That is insane value for money if you ask me. Although the camera lacks some more pro features that you might get with the slightly higher priced Gh4 you are still getting a lot of value for your money and you are getting IBIS…. that the Gh4 doesn’t even have. At some point I suppose you knew an action camera will surface on this list. While there are some cheaper action cameras that claim to offer “4K video” the truth is the quality those produce compared to the GoPro Hero 4 is like horse poo. 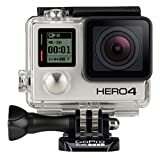 The video quality out of the GoPro is simply fantastic and considering it’s price continues to drop year in year out as newer GoPros are released then this definitely had to make it on to this list. Do not assume you can only use this for “action camera” related things. It is perfectly capable of being your main camera if you have an external audio solution of some kind. Another action camera that delivers on quality, 4k isn’t just a marketing buzzword where they simply upscale 1080P video to look like rubbish. If I had to choose between this and the GoPro I’d probably choose the GoPro but that does not take anything away from what this camera is able to do and the quality of footage it will provide. Definitely worth a mention on this list. To be totally transparent I am not a huge fan of camcoders, maybe it’s the form factor or the way they simply look dated, I can’t really say. But, there are a lot of people who still use these cameras and absolutely swear by them. 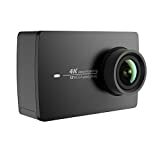 If for whatever reason you are one of those people and you are looking for a fairly affordable camcoder that does 4K video then this is the guy for you. The handy cam promises 5.1 surround audio which it delivers on… just as long as you are not shooting in 4K. That feature is only available for HD video recording. 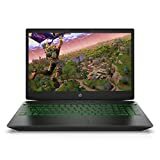 Great value for money and if you are lucky you can pick this up for as low as $700 on sale at times. Maybe even a little less if you are willing to buy it used. I still currently own one and believe me when I tell you this is insane value for money. You can shoot a film with this as it has all the pro features and can shoot cinema 4K. High Speed Response Required for Professionals and Practical AF Options: With the LUMIX G digital interchangeable lens capable of digital signal exchangeat max. 240 fps, the focusing is stunningly quick and smooth. The king of mirrorless camera technology at this very moment. The only thing the A7III will have over this is probably the sensor size (Which honestly becomes less important considering this is an APS-C sensor.) Asides that, this is a far better camera than the Sony and definitely better value for money than anything Canon or Nikon have to offer. This is my current main camera and I get the feeling it will be for a while. If we are talking about features and value for money, this is one of the best cameras on the market right now, period. You cannot beat the value the full frame A7III offers you for the money and other manufacturers are having a hard time competing at this price point. It is even a best seller on Amazon – that should tell you everything you need to know. 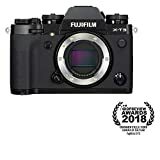 I recall this camera was released around the same time as the Gh5 and they were supposed to directly compete somehow… Thing is though the price on this has dropped significantly and it is only selling for around $1000 these days. Makes no sense to me that it is that cheap but I don’t think it needs to… This is an insane deal if you have the money to spend and you should not even hesitate. Pick up a couple of extra batteries and you are golden. Probably the only camera from Panasonic that has usable autofocus. This camera is so good and such great value, it pains me to see it continue to go unrecognised. Sacrificed at the alter of the Gh5… except it is such better value for money in so many ways. My personal feelings about this camera aside if you were looking at it then you should just go ahead and pick it up. If for some reason this guide has not helped you make a decision on what the best 4K camera for you is then please leave a comment and I will make sure to respond swiftly. I have tried to avoid the ultra cheap action cameras and camcoders that claim to offer 4K video but really don’t. I really do hope the time you have spent reading this has not only offered you value but has helped you decide on the cheapest 4K camera for you. Thanks a lot for reading and please do not forget to share this article if you found it useful.